Is anyone else absolutely positively THRILLED about spring's arrival?! Never mind the dusting of snow that surprised me on Monday morning. I know it was a fluke--spring is here, I just know it! I couldn't help but select some of my favorite spring projects to spotlight this week on Wednesday's Wowzers. Yesterday on Tuesday really out-did herself with these fanciful Easter eggs. 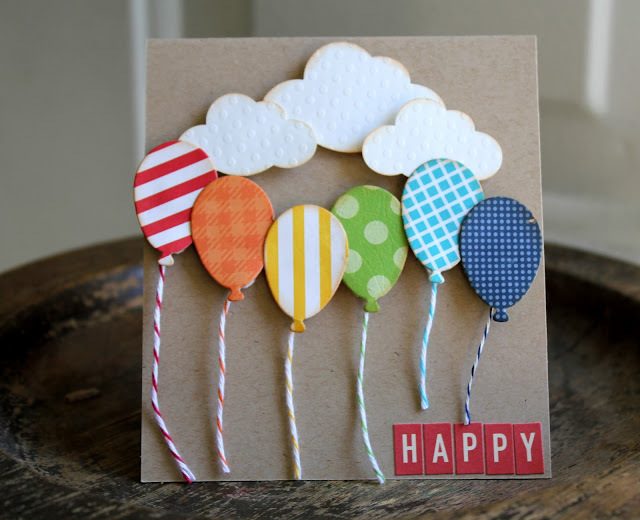 These are so whimsical, bright, and fun! I can't get enough of these alphabet canvases in The Fickle Pickle's playroom. I know Little Man would love to play in this space! 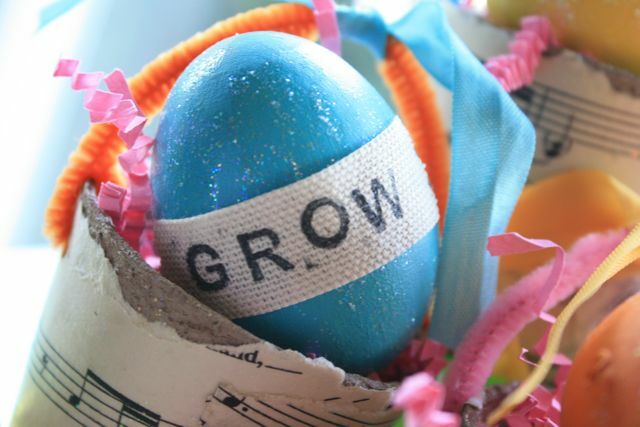 Lyndsey's Craft Spot was a guest on Lolly Jane Boutique, where she showed off this Countdown to Easter. 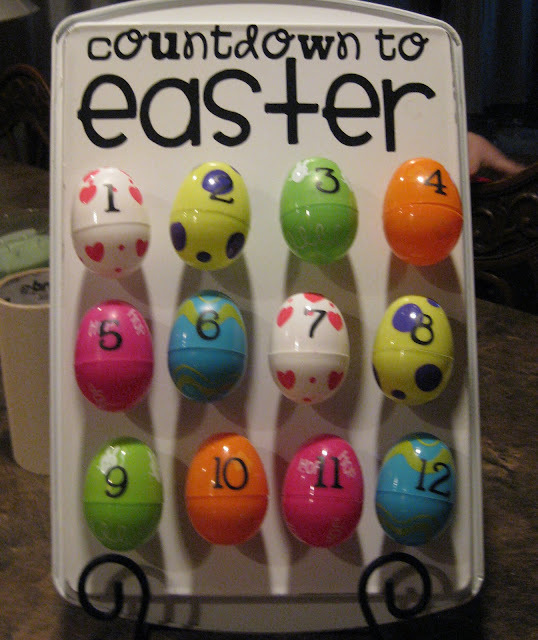 I love a good countdown, and the plastic eggs are perfect for hiding little surprises for each day! Are you drooling over this ruffled onesie like I am?! The Cottage Home created this gift set for twin girl and boy babies. This makes me baby hungry! Amy from The Idea Room has done it again! 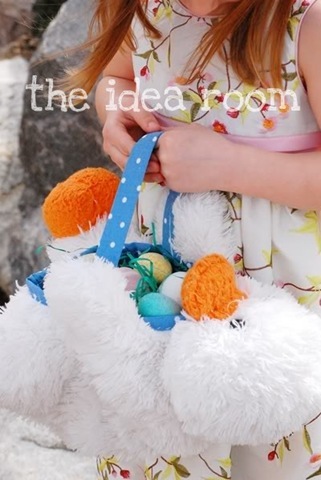 She shared this adorable stuffed animal Easter basket. What child wouldn't love to pal around with their favorite stuffed animal for an Easter egg hunt?! When I saw this card at Something From Cassie, I was thrilled! I quickly whipped up my own version for my Dad's birthday the next day. Thanks for the inspiration, my dear! When I saw this spring mantle, I was completely inspired. I want to brighten up my mantle just like Burlap and Lace. That "spring" sign is stunning! And I love the birdie art! I am so charmed by these Pottery Barn knock off Easter eggs. Kindness Matters used a little vinyl to make these vintage-looking eggs. Love, love, love! I hope you feel inspired... I know I do. Now go and enjoy spring! yay!!!! I was having a cranky day until I saw this!!!! Thank you so much for featuring me!! WOO HOO!!! Thanks for the feature!! I hope everyone makes a countdown 🙂 My kids are so excited to use it!! Thanks for posting such great ideas!! I love the Easter countdown and the birthday card! Thanks for featuring my mantel! Love the blog! great finds! off to check them out! Those are all awesome finds thanks for sharing! Oh Alison you're such a sweetheart… thanks for the love, luv! THANKS SO MUCH FOR FEATURING ME!!!!!! 🙂 LOVE YOUR BLOG TOO!!! !